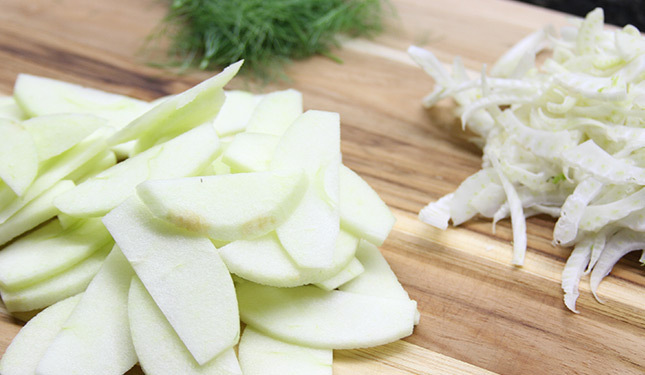 -Combine sliced apples, fennel, lemon juice and sugar in a bag. Toss to coat ingredients. Remove all air from the bag, seal and store in the fridge for at least an hour. Preheat your Yoder Smokers YS640 (or other cooker) to 400ºF, set up for indirect grilling. You will need a baking stone, salt plate or other surface for baking on. Dust a pizza peel with corn meal. Place your pie dough on the peel. 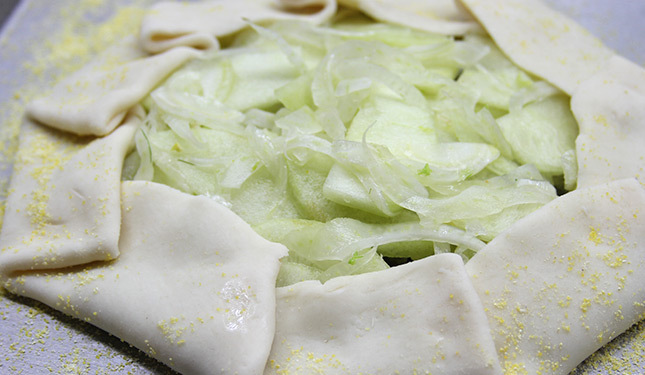 Spread the melted onions over the dough, leaving room to turn up the edges. 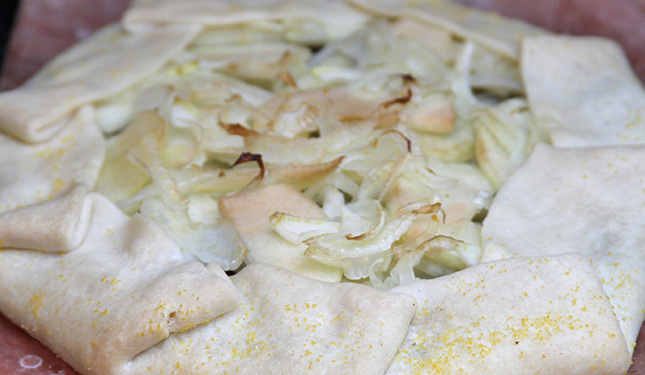 Pile the apples and fennel on top of the onions. Turn up the edges of the dough, folding sections inward to contain the filling. Transfer the tart to the cooker. Bake for approximately 1 hour, or until crust is golden brown and cooked through. Top tart with crumbled blue cheese and fennel fronds. Slice and serve. -Cut parchment paper to fit as a lid on a saucepan. Combine ingredients in the saucepan. Place parchment directly on top of the onions. Cook over low heat for 2-3 hours (depending on your stovetop), stirring occasionally until onions are caramelized and "melted" in appearance/texture. Cool, cover and store in fridge.